The awards program was launched in South Africa 1995, following the success of effectiveness awards programs globally. 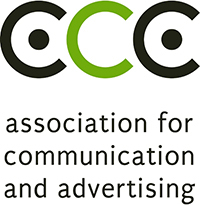 Countries such as England, Canada, Australia, New Zealand and Ireland established similar programs as far back as 1980 and have since become the most sought after advertising and awards programs globally because they represent a robust defence of how advertising and communications works. Without awards of this nature, the profession would have very little moral leg to stand on in a business world that has become increasingly cynical and value-conscious. Agencies and their clients are invited to enter their best work, i.e. communications campaigns that generated a measured and proven return on investment, into the 2016 APEX awards. Given the importance of the APEX awards and what it represents, the standard is high and will not be compromised. Entrants are required to submit case studies detailing their campaigns and how all possible factors other than the campaigns have been considered as causes for brand success and in so doing, systematically prove a case for the campaigns themselves as being the cause for the brand success. “The purpose of the APEX awards is to encourage agencies and their clients to develop new, higher, best practise standards for measurement of advertising and communications campaigns and it promotes a better understanding of the business and why spending money on advertising and communications is a business investment – not an expense” explained Odette van der Haar, ACA CEO. “An APEX award represents both strategic and creative effectiveness which positions winners as being leaders of a profession that is constantly evolving and redefining creativity and effectiveness,” explains Andy Rice, Chairman of the APEX 2016 Jury. At these sessions, entrants will receive information on how to enter, compile and win an APEX. While attendance is free of charge, seats are limited – booking of seats is essential. To book a seat at one or both of the briefing sessions, send an email to apex@acasa.co.za. The annual APEX awards is hosted by the ACA with key partner, SABC and sponsors Millward Brown and Unilever. For more information about the APEX awards, details on how to enter, key dates to diarise, entry fees and so much more, visit http://www.acasa.co.za/apex.aspx , email apex@acasa.co.za or call the ACA on (011) 781 2772/3.